Wetrooms are the stuff of Hollywood movies. A far away dream of a luxurious addition to your home that has been reserved for the world’s richest. That is until recently. The growth in popularity of wetrooms has sky rocketed in recent years as materials become faster and easier to produce, thus lowering their costs. This means that home owners across the UK have started taking interest in turning their en-suite bathrooms into wetrooms. Before we give you some pretty convincing reasons as to why you should get a wet room, we must say it is not for everyone. After all, it’s not too suitable for children as it can’t be fun and float rubber ducks in it. Not to mention it may put off families from buying your home in the future if you wish to sell it. On the other hand, if you’re a young couple with full time professions, this could be the trick to help you finally relax properly. Although wet room installation in itself can be costly, the benefits of one in your home could make all the difference to your daily routine. So what is a wetroom? To simply put it, think of it as an entire room that has been turned into a large shower, with a drain in the middle. It’s like a waterproof tank of relaxation that gets all warm and steamy when you turn the shower on. Sounds great, doesn’t it? Wetrooms are a lot easier to clean. By making the entire room into one large shower, you’re eliminating any small areas that are hard to get to. Instead an open space like that lets you do a lot of deep cleaning without getting out of breath. Despite wetrooms not having many functions in them and items like a traditional bathroom would, they can still be very personalised to your preference. A bathroom is one of the dirtiest places in an average home, so a wetroom is guaranteed to make it easier for your home to be germ free and smell nicer. Wetrooms are also perfect for wheelchair users. Without the struggles of having to climb into a bathtub or squeeze into a tight shower cabin, a wetroom allows so much more space. A wetroom creates a lot more space for a wheelchair and much easier access as there are no obstacles in the way of the wheelchair. Wetrooms are also a lot safer, not just for wheelchair users but for everyone else too. With a wet room, you eliminate the need to step in or out of a cabin or bathtub so then there’s no chance of misjudging your step and slipping onto the floor. Wetrooms on average tend to be less costly to the homeowners in the long run and last longer too. It only requires a small fraction of the fixtures that a conventional bathroom needs. This means there are fewer pipes to leak and broken appliances to fix or replace. A bathroom is a lot more prone to having things broken and damaged over time, but a wetroom has a few features that usually last a lifetime before showing any signs of heavy use. One of the most convincing reasons to get a wetroom for homeowners is simply the look of it. Since wetrooms came into existence, there’s never been a time where they have been considered un-stylish or ugly. A well tiled wetroom with a unique design personalised to you will always look good, no matter what interior decor trends come in and out year after year. Although we have said that a house with a wetroom might not appeal to families, it does appear in other types of home buyers. On top of that, wetrooms in general increase the value of your property rather than a well fitted bathroom. They’re an attractive feature because of how easy they are to take care of and how much more relaxing they can be. Doctors even prescribe wetroom treatments to people who suffer from migraines and blocked sinuses. The tile murals used for a wetroom need to be secure and of high quality, but they don’t need to be boring! You can choose from thousands of designs, from bright colours to give extra light to your wetroom, to dark glossy tiles that give a more mysterious and calming vibe. You can even install LED lights, and get creative on their colours too. A wetroom is meant to be a sensational experience every time you enter it, so lights and tiles, along with any glass panels you may choose to have can make a lot of difference to the vibe of the room. Remember, before you hurry off and hire someone for installation of your new wetroom, make sure they’re a trustworthy business as leaks in a wetroom can be costly to fix and sometimes dangerous. Don’t feel rude to ask for testimonials from past customers or even pictures of their past work. It’s your right to want the best results for your hard-earned money. We hope we have helped you make up your mind about whether a wetroom is a good investment for you. Whatever you choose though, we’ll be here to supply you with the highest quality tiles that come with a promise of a long life and no leaks or cracks. 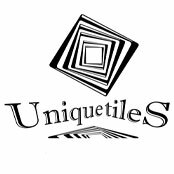 The team at UniqueTiles don’t shy away from even the most ambitious projects we’re tasked with. Our years of knowledge and expertise has helped us to trial every material and type of tile out there. If you’re in need of more inspiration or just a chat about your options you can call us now or fill in the online form to speak to one of our team members. We offer a free consultation and never push you into buying something you’re not sure you need. We want all our customers to make their best and most informed decision when buying bespoke tiles from us, so we are always happy to help.